ARCO provides services to the countries that have a nuclear industry, and it supports research centers. Also, ARCO supports companies in construction of civil nuclear power plants and related infrastructure. ARCO advises and supports Governments in phases 1 and 2 of the IAEA's phased action plan. Such services are in full compliance with international nuclear safety rules and IAEA requirements. 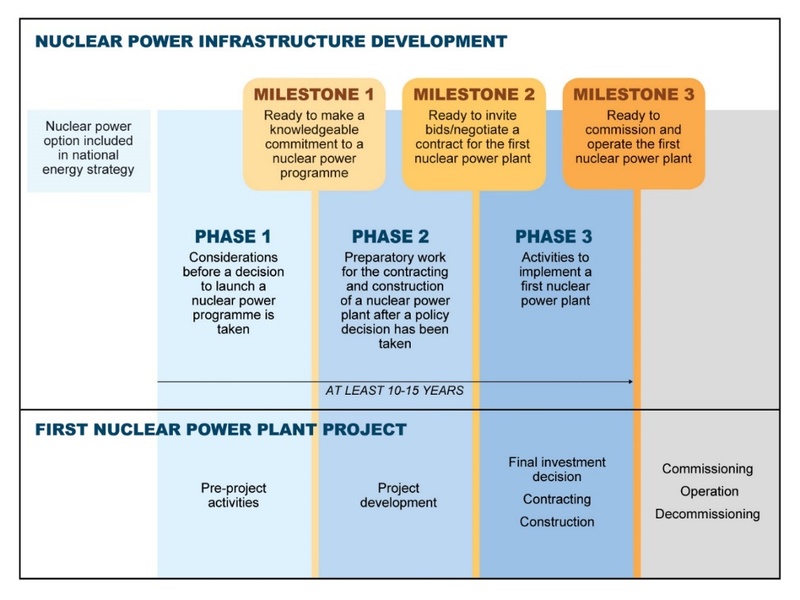 After the technology has been chosen, ARCO can provide consulting during the construction (Phase 3 of the IAEA's phased action plan) of a nuclear power plant, a research center or any other facility of nuclear infrastructure. ARCO specialists work closely with countries that develop nuclear energy facilities. This gives ARCO a complete picture of the difficulties and problems faced by these countries. Analysis and drafts of legal national and international agreements and compliance with requirements for environmental protection, safety, etc.